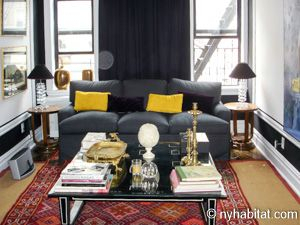 Live in an artsy home-away-from-home in NYC with this two bedroom apartment on the Upper West Side! 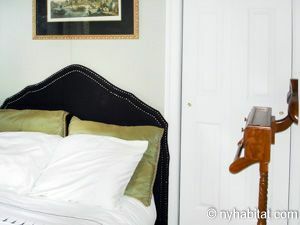 Just down the street from Central Park, this two bedroom accommodation sits on West 107th Street & Columbus Avenue. 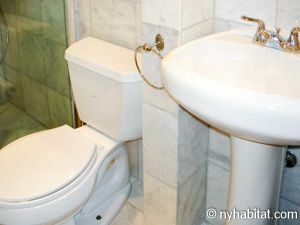 It is located on the 3rd American floor (considered 2nd floor in Europe) of a 5-story walk-up building. 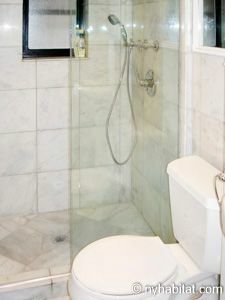 A built-in security system protects the property. 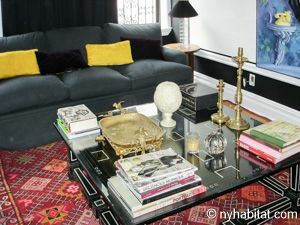 Spanning 700sqft (65sqm), the fully furnished apartment combines modern artwork with Asian-inspired accessories and a dark black/grey/white color scheme with pops of primary colors. 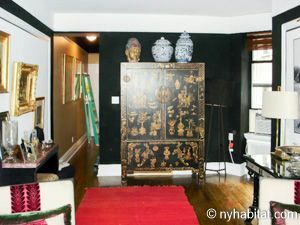 The living room includes a sofa, coffee table, and furnishings such as a large black dresser and antique desk. 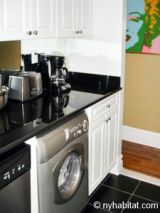 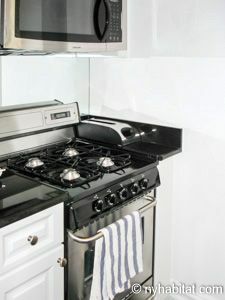 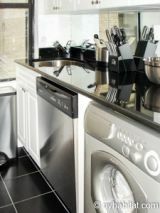 The kitchen, which is right next to the entrance door, offers basic cooking appliances, plus a laundry washer/dryer combo. 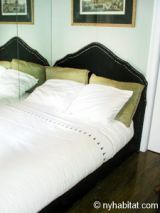 Bedroom 1 spans 100sqft (9.3sqm). 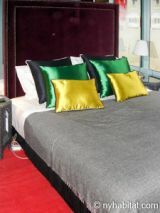 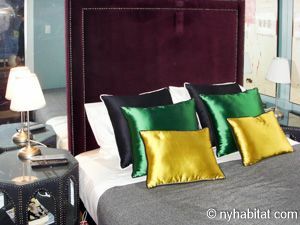 It is equipped with a double bed, flat-screen television with cable, and a bedside table. Bedroom 2 spans 60sqft (5.5sqm) and provides a twin bed.